Magisto, a mobile app for Android and iOS devices that automatically pulls together images and videos stored on your device to create a movie, has launched for Windows PCs. Released today, the new app brings the same sort of functionality found in its mobile offerings – albeit aimed at desktop Windows users. 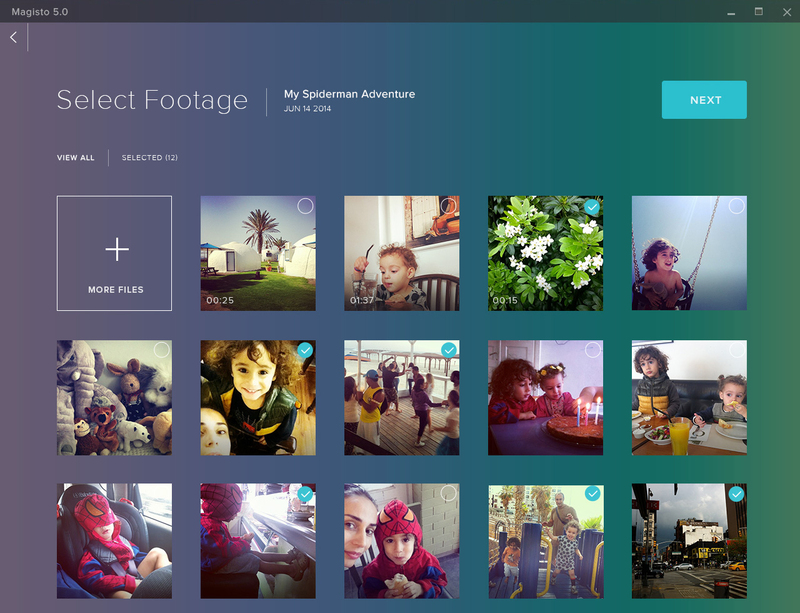 The company said the new build is aimed at addressing specific problems currently associated with creating simple movies on the desktop, including the management of files and transcoding large video files from GoPro (and other) cameras. With it, all you need to do is hover your mouse over a saved folder or collection and then just click the magic button. All the photos and videos in the folder will then be automatically assembled into “a uniquely personal and powerful story,” the company said. Of course, you can select individual shots or clips to include too, if you’d rather. Standard video formats like MOV, 3GP, AVI, FLV, MP4 (and more) are all supported, and videos created on mobile devices will also be visible on the desktop, and vice-versa. There’s a Mac version on the way too, but there’s no specific date of arrival as yet.